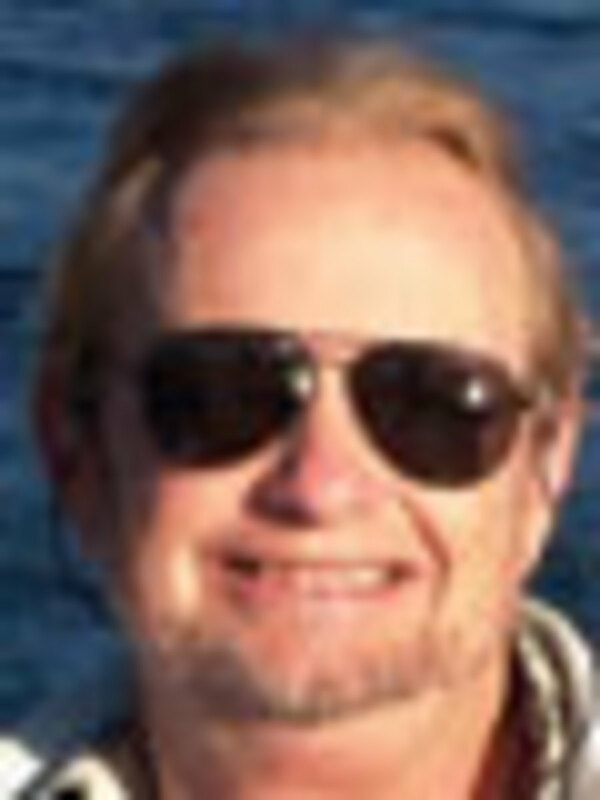 William Anderson has been president of Westrec Marina Management since 1989. He directs more than 500 employees in the management and development of Westrec’s $300 million real estate portfolio. Anderson, 62, worked for the U.S. Department of the Interior for 13 years, developing urban waterfront areas around the country. During his career with the National Park Service, he was chief of recreation for 23,000 acres of parkland in the San Francisco Bay area and managed the initial reconstruction of the historic ships at Hyde Street Pier at Fisherman’s Wharf. He also spent five years in the hospitality and tourism industry as vice president of the Malibu Conference Center. Anderson served for five years as president of the Association of Marina Industries and has twice been recognized by the National Marine Manufacturers Association for his support of the marine industry and boating access. He is a past board member of the Grand Canyon National Park Foundation and is serving his fourth term on California’s Marine Life Protection Act Blue Ribbon Task Force. He is a 1971 graduate of Pennsylvania State University with a degree in recreation management. Anderson lives in Westlake Village, Calif., is married and has two children. 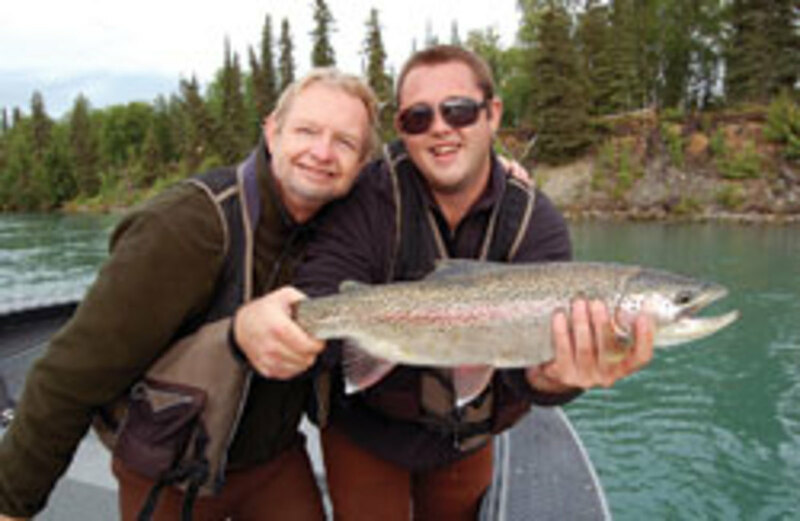 His hobbies include boating, fishing, swimming and hiking. Q: We’ve often heard that marinas have fared better than many other segments of the industry during these difficult economic times. Would you agree? A: For the most part, marinas have fared better than other segments of the marine industry, but I think it’s also true that the downturn is catching up to many of the marinas this year. Boat owners, especially those who own larger boats more commonly found in marinas, are pretty resilient as a group and will sacrifice any number of luxuries, and even a few necessities, before giving up the boat. But I think the longevity of the economic downturn is definitely catching up to many and we find ourselves working a lot harder to keep customers in slips and encouraging them to continue to keep using their boats. Marinas are faring better than other segments, but that doesn’t mean that we’re immune to the challenges imposed by this new economy. Many marinas are really struggling to maintain occupancy and some are discounting rates in an effort to keep customers there. We’re maintaining our occupancies among our wet- and drystack customers. But at one marina, in particular, we experienced a decline among our commercial tenants. At Harbour Towne Marina in Dania, Fla. — a site where we’ve historically been a small-business incubator, primarily in yacht brokerage and repair — we’ve housed over 80 commercial tenants. The economic downturn has really spelled the demise, unfortunately, for a number of those small businesses. 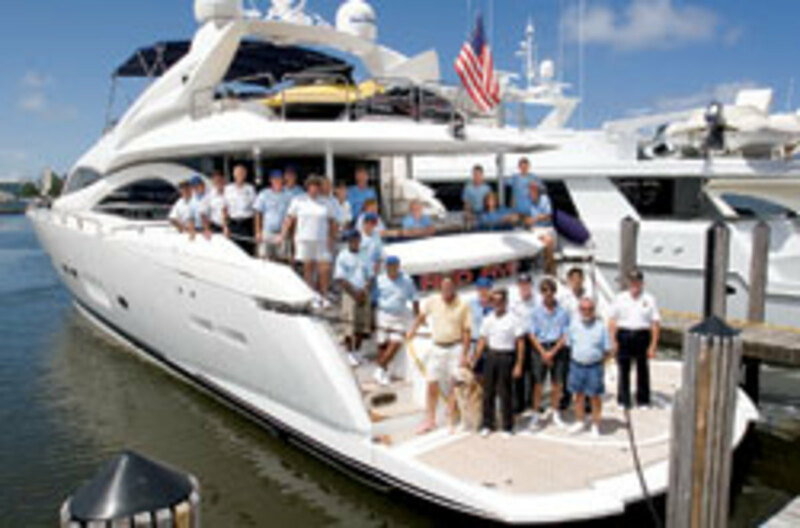 Q: Westrec owns and operates 30 marinas around the country. What differences have you seen in terms of occupancy rates in the various areas of the U.S.? A: We try to be the leader in most of the markets that we’re in, providing a top-quality infrastructure, so I think we’re better-positioned in some cases than many to maintain our rates and occupancies. We haven’t really discounted rates dramatically. Having said that, we’re not immune to the effects of this downturn. In most places we’re holding rates and resisting the urge to discount. Occupancies are steady, but they’re certainly not growing. The impacts vary as one moves regionally and through boat type. You can’t generalize it. In Chicago, the demand has been historically very high, almost exceeding available slips. We’re holding strong occupancies and rates there. As a matter of fact, on behalf of the park district, we’re managing the development of two new harbors to meet the demand for this region. We just built 300 new slips in all the existing harbors that are coming online this spring, and one of the harbors we’re building right now will have over 1,000 slips. So the demand there is exceedingly strong. Those marinas had the largest revenues they’ve ever had in the last two years. In other areas, however, like in the lake areas outside of Atlanta, where they had the drought, foreclosures among a large number of houseboat owners have impacted occupancies. But in other categories, occupancies have vastly increased. In South Florida we’re feeling the impact of the decline in boat sales among brokerage firms and that impacts office space and wet slips. What’s interesting is among regular boat storage customers, the occupancy continues to be strong. It’s the dealers and brokerage firms that have been having a tough time. Q: What are you seeing in terms of the sizes of boats people are bringing in to your marinas? A: We’ve definitely seen a continuation of the trend toward larger boats filling the water space and the smaller boats moving ashore to dry-rack storage. Even the boats in dry storage are getting much bigger. We developed a new drystack facility in Harbour Towne Marina recently and many of the boats in the building are over 40 feet. Some of them are 50 feet, with three or four outboard motors on them. One impact of the recession is that some of the smaller boats are coming out of rack storage and going on trailers that can be stored at home or limited-use storage lots. I think this is more a function of the mobility of smaller boats, as well as the financial strength of a typical small-boat owner. Q: How might rising gas prices affect your marinas this summer? A: I think the impact of rising gas prices is a concern for all of us, both inside the recreational marine industry and beyond. You’ve seen some of the concerns that [Brunswick CEO] Dusty McCoy and other industry leaders raised about that. But I think for our segment, historically, high gas prices haven’t really devastated boat use. But they have changed boating habits for some. It’s a fact that much of the boating really happens at the dock in many of the marinas. Some continue enjoying the experience while limiting their time on water. What that means is instead of going out once a week, maybe they go out twice a month and the rest of the time they hang out at the dock with the family, and that translates into a need for more amenities. In many cases we’re lowering our targeted profit margins from fuel sales in an effort to get customers to get out on the water and continue enjoying the boating experience. … We have certain customer service programs and loyalty programs that help discount fuel for our customers to help give them a break. That’s as important as a perceived value as it is a real value. Q: If people aren’t taking their boats out, how do you keep them coming to the marina? A: At many marinas, we’ve added restaurants and pools and stores for people to utilize as amenities, but more importantly we also host a lot of activities and events, like customer appreciation days or celebrations of captains and crew and educational opportunities. Let me give you an example. We’re not just hosting fishing tournaments, some of which are charitable, but we also host educational seminars on how to fish, covering topics like choosing live bait, identifying fish habits and habitat, correctly rigging tackle and other techniques. So if people are spending more time in the marinas, they have more time to learn about topics that will help them better enjoy their boat when they are using it. People really like that. They like the detailed information. … Additionally, we offer a lot of courses in navigation, boating safety, boat maintenance — all designed to help people get the most out of their boating experience at the marinas. Q: Does it ever get too costly to provide the amenities your customers are looking for? A: That’s a challenge in our business. It’s not about providing everything, every experience; it’s providing what the customer wants. So in order to do that you really have to listen to your customer. … What customers really want are essentially the basics — quality facilities; safe, secure environments for their family; and a pleasant and relaxing experience while on the boat at the marina. It’s always been true that the No. 1 amenity that a boater is looking for is a clean, spacious, well-maintained restroom and shower facility. Just as important are quality docks and the appropriate utilities to get the most out of today’s boats. … I think it’s also important to provide clean and well-maintained parking facilities and as much green space as possible, create a natural setting. I think boaters value common spaces where they can congregate — lounge spaces and office spaces for captains to access the Internet to take care of a little bit of business without having to head back to the office. These are all basic amenities that I think contribute to the value assessment that today’s boaters are making when they’re choosing marinas. But I think the No. 1 priority is really customer service. … It doesn’t matter how much money you put into your facilities or how many amenities you have or how many educational activities. If the customer has a bad experience through an interaction with an employee that’s negative or they don’t get the service they expect, it doesn’t matter what amenities you have. They’re not going to come back. Marinas have the ability to really be the forum to help keep people in boating. It’s not just about storing their boat. If you look at, strategically, where the whole industry’s going, ultimately there’s going to be a strategic alliance between manufacturers, dealers and marinas to better serve the customer … because it’s in everyone’s best interest to keep that customer in boating. Q: Where do you think the possibility of such an alliance stands at this point? A: Marinas and dealers and manufacturers have had some discussions about this in the past. Right now what happens is the customer gets passed off along the way and we ultimately get them in the marina. What has been suggested is there needs to be more interaction with the other two market segments. All three of us need to work strategically in trying to deliver better service for the customer. … We’re closer to the customer than any segment of the marine industry. So if you want to know what kind of boat to build, what do you do? You go ask the customer — the customers in the marina. If you want to get some feedback on your product, how it’s working, go ask the customer. They’re happy to pay for things that they perceive have value. 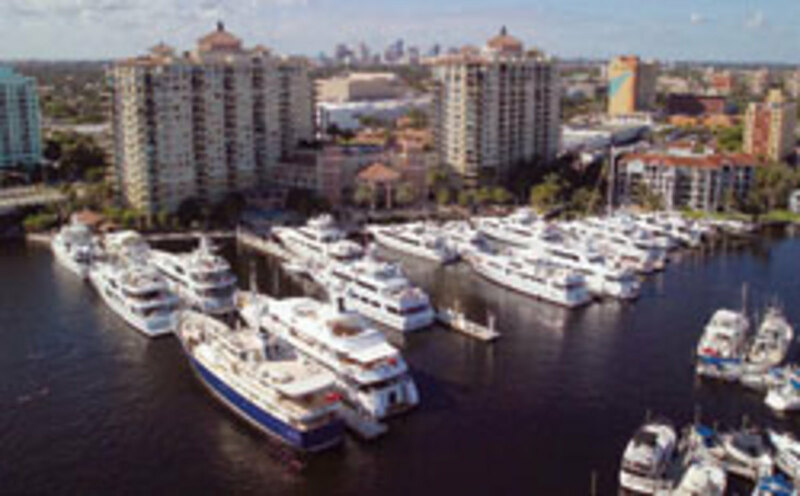 Q: Do you have plans to buy more marinas or take over the management of any? A: We’re always looking for opportunities to expand our businesses, both through acquisition and third-party management. Our experience in managing municipally owned facilities — like the Chicago Park District Harbor, the city of Fernandina Beach (Fla.) and its Fernandina Beach Marina, and the city of Stockton (Calif.) Marina and others — will be valued as the trend toward privatizing municipal marinas continues. I think as cities and counties realize that they have limited tax dollars available and those need to go to primary services such as police and fire and health and safety, if they’re running a marina themselves they may want to look to the private sector to help them do that. We’re making ourselves available to marina lenders to work out failed dockominium projects. We’ve got a good group of people that have expertise in asset management, and we’re really using that to leverage our business. In recent years we’ve been focused primarily on growing our existing marinas, rather than buying marinas at the top of the market and getting minimal returns. We have completed redevelopments at many of our properties, retrofitting and upgrading existing footprints and adding new improvements to meet the changing marketplace. For example, we’ve replaced dedicated floating breakwaters with new configurations that include large houseboat slips with patio decks for entertaining. … Another example is the development of a new drystack facility at Harbor Towne. Another one is a major redevelopment under way at Haulover Marina in Dade County, Fla. We’re in the planning and permitting stage, and we’ll start construction in a year of a project that will add 500 drystack storage spaces to Haulover Inlet. Q: What are some of the difficulties in dealing with increasing environmental regulations and permitting? A: Permitting, regulation and overregulation in the marine industry continues to be a challenge for anybody trying to build a new marina. I think at Westrec we’ve been fortunate to have kept pace with the environmental regulations that have manifested in recent years. As a company, we’ve often worked together with regulatory agencies to help create rational and effective implementation strategies for new regulations. In doing so we can keep the compliance costs to a minimum. So we try to work with regulators where we can. We worked with Broward County in Florida to develop one of the earliest wash-water reclamation systems, capturing waste water from pressure- washing boat bottoms. Getting involved in creating responses to the challenges imposed by the regulators allowed us really to create a cost-effective solution where none existed previously. Q: What are your predictions for the marina segment for this summer and beyond? A: This summer will look a lot like last summer, assuming that gas prices don’t get too high. Boaters will still be taking to the water and enjoying the boating experience, and we’ll continue to work harder to make these experiences the best we can. We’ve learned that in challenging times, time spent with family and friends aboard the boat is even more precious and important, so we’re mindful of that. In general, there are a few trends. One is, the dockominium trend is over, at least for the near term, and marinas dependent on active income — income from fuel sales, retail, service and repair — are experiencing decline in participation among boaters, so they have to retool their businesses in response. I think marinas that have increased their leverage, or debt, in recent years are feeling a pinch and I think refinancing those marinas is going to continue to be challenging. And, of course, anyone depending on boat sales to fuel occupancy is suffering, at least in the near term. The challenge in the next few years is creating what I call new revenue through redevelopment — getting more out of the existing footprint that you have. Static occupancies mean that rates won’t increase at the pace of recent years, yet costs continue to escalate and the marina operators will have to do more with less. On the positive side … I believe that today’s challenges will breed opportunity. There will be more connectivity between the boat manufacturers, dealers, boat service and storage, and I expect that a turnkey approach to boating will develop and it will be a real advantage in our efforts to attract new boating customers. In the marina of the future, ultimately you’ll be able to buy a boat there. Part of it might even be manufactured there; you’ll see the boat being built. It can be sold there and it can be stored there. And that’s not too far away — not because that may be the most efficient situation, but that’s probably what the customer really wants. I think they want to feel like they’re a part of the process. That’s important.